The band's first collection of all-original compositions since the name change to Smithfield Fair, performed by Dudley-Brian, Jan, Bob and then-member Frang with J.David Praet (Lead acoustic guitar); and special guest Gina Forsyth (Fiddle). The album focuses on time, the patterns of life, and the changes that occur in a variety of relationships. This is a particular band favorite and got both wonderful critical reviews and continues to be a best-seller. 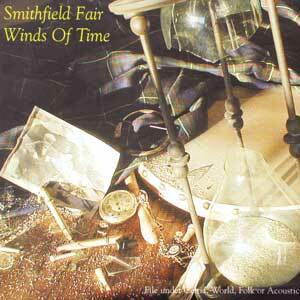 Winds of Time (D-B.Smith), Yearning (Jan Smith), A Single Day (D-B.Smith), I'll Be In Your Dreams (Jan Smith), March of Time (Jan Smith), In Your Fire (D-B. Smith, Time the Mighty Hero (Jan Smith), Perseverance (D-B.Smith), Twice Around the World (D-B.Smith), Ten Years Ago (Jan Smith), Jerusalem (D-B.Smith), Burning Desire (D-B.Smith), Company (Jan & D-B.Smith), Take the Caravan & Go (D-B.Smith), North By Northeast (D-B.Smith), Love Is Eternal (Jan Smith), Unspoken (D-B.Smith). Illustration by Joel Smith, Sundial photograph by Tim R. Gordon.